And so my adventure ends, “Meditating across America”, to Manifest Destiny. Over the course of two and a half weeks, I have traveled through 12 states and visited many amazing places and people. In some ways it was a bittersweet trip: It was wonderful to see family and friends in California; to surf and soak up the Pacific sun and the opportunity to travel and hike some of the most beautiful places west of the Great Lakes. Yet, there was some challenging aspects to my trip as well. Driving seven to eight hours a day was arduous and the plight of America in places like the Navajo Nation and tornado devastated Joplin were eye opening experiences. Still to drive across so many diverse geographical regions and exploring the different cultures and demographics was in itself rewarding. searching for round chakra rocks at the beach was a simple walking meditation exercise that achieved full mindfulness of the moment. The premise of this journal series was to explore Energy Vortexes across America. As discussed in previous blog entries, scenic places of beauty tend to hold higher levels of energy – or so I thought before disembarking on this road trip adventure. As I traveled across the Great Plains, spacious views would open up for miles in every direction. There is a quality of space and openness associated with big sky vistas. In the mountains of Colorado I connected to the epic beauty and grandiose sights of the Maroon Bells near Aspen. There amidst the snow-kissed peaks, I felt peace and inspiration that bought forth an acute level of awareness; a natural high of sorts. Across the red canyons and ravines of Utah came feelings of comfortable desolation and revelations of how small we really are in the grand scheme of the Cosmos. When I finally reached the coast, the healing ocean and scenic coastline brought back vivid memories of childhood but also the loss of my firstborn ten years ago. Bittersweet indeed, but seeing old friends and family made the trip all the more rewarding. Then of course there is Sedona and its famous healing vortexes. Hiking up Bell Rock was an amazing experience. I found the longer I stayed in Sedona the more energy I felt. There was even a lack of energy sensed upon my departure from Arizona. Throughout the entire trip I focused on my mindfulness of the moment – keeping my center and thoughts rooted in the present. I enjoyed some very productive and energy infused meditations, especially under the watchful eye of God; in the tranquil and unfettered dominion of nature. Yet, even through the hustle and bustle of Chicago, peace was found. Truthfully, I can even find peace and inspiration meditating in my living room at home. So what conclusions can be deduced from all of these experiences? can you tell me about chakra rocks? I run an “equiine connection” retreat, and I would like to do some walking meditations with clients. 🙂 any ideas you have are appreciated! Dear Josee, I just completed a meditative adventure where the focus was on Energy Vortexes found in nature – especially places like Sedona and Maroon Bells. As you know, Chakra’s are wheels or vortexes of energy. Chakras can relate to zones of the human body, precious stones relating to a specific healing force or energy, etc. In this case I found almost perfectly round stones near the beach in a place that held higher levels of energy. 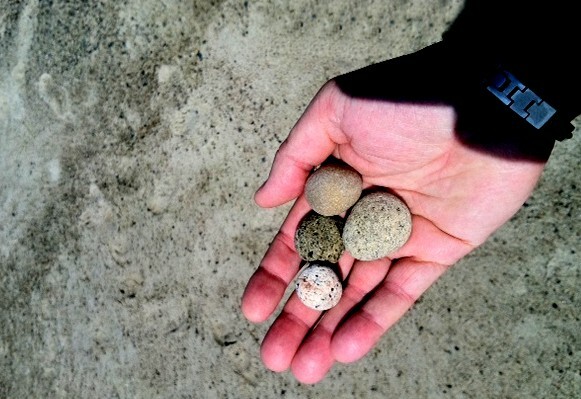 I collected about four or five small rocks which I was able to roll and move in the palm of my hand. I found simply searching for these rocks during a walking meditation was not only healing in its simplicity, but also a meditative tool which effectively kept my mind centered on the present and not rooted in past or future (fear or fantasy). 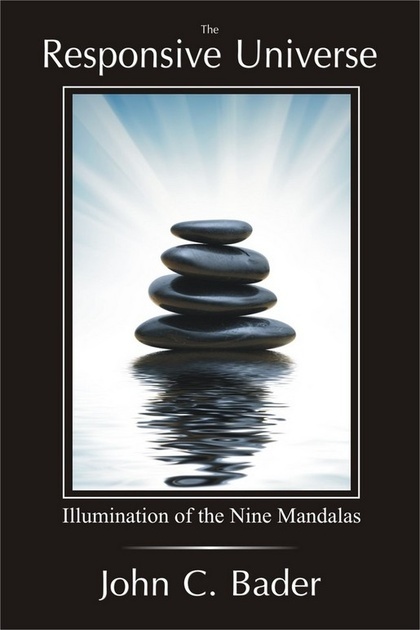 Certainly you can form or mold your own meditative adventure around different chakras or sources of energy. Good luck – sounds like fun! « Manifest Destiny – Part VIII.